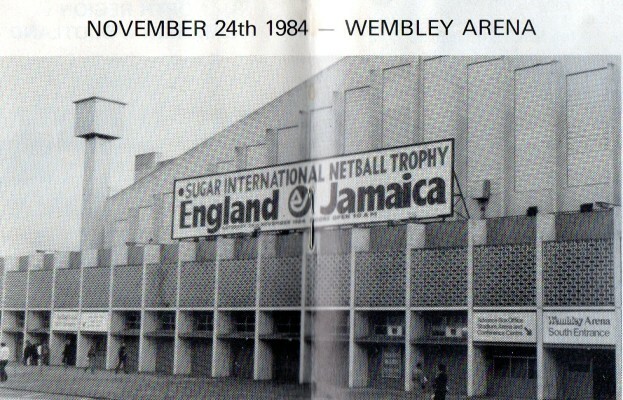 “I don’t believe it” – said so many times at the end of this match – England having lost for the first time against Jamaica. Jamaica came back from an 11 goal deficit at the end of the first quarter to win by two goals. 1st quarter England led 14-3. 2nd quarter England led 28-18. 3rd quarter England led 39-33. 4th quarter England lost 49-51. Patricia McDonald, known as ‘Cricket’ was the 6ft 2in Goal Shooter, for Jamaica scored 39 goals from 47 attempts. She was on the bench for the first quarter but came on at the beginning of the 2nd quarter and in the first few minutes had reduced the deficit by five goals. At the 2nd Test at Aston Villa England’s pride was at stake and proved to be the spur to take England to a superb victory over Jamaica, by one goal! 43-42.